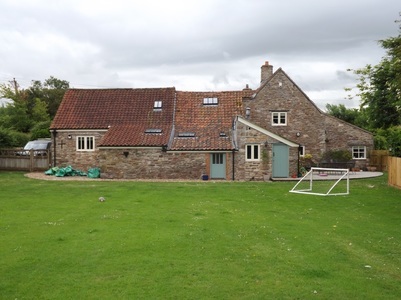 The owners of this large garden attached to a beautiful 15th-century cottage were looking to maximise the amazing views across open countryside, and create a garden in keeping with its surroundings and suitable for a young family. 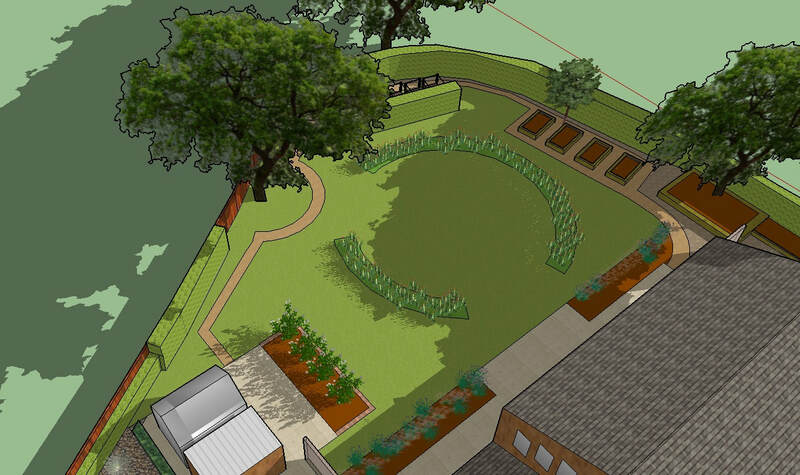 We included space to grow vegetables combined with a quirky seating area, a play area and borders for year-round colour and interest. A new curving wall ties in with the brickwork of the cottage and replaces a steep and dangerous bank. 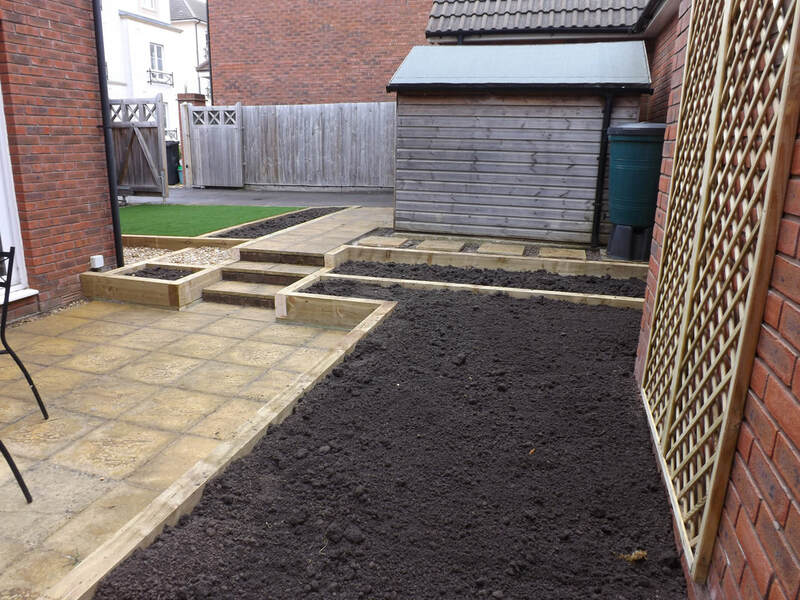 Raised beds provide space to grow and an informal seating area, where previously there was an overgrown patch of grass and weeds. As part of the Blaise Castle estate in Bristol, the aim was to create a family garden that retained its rustic and woodland feel. 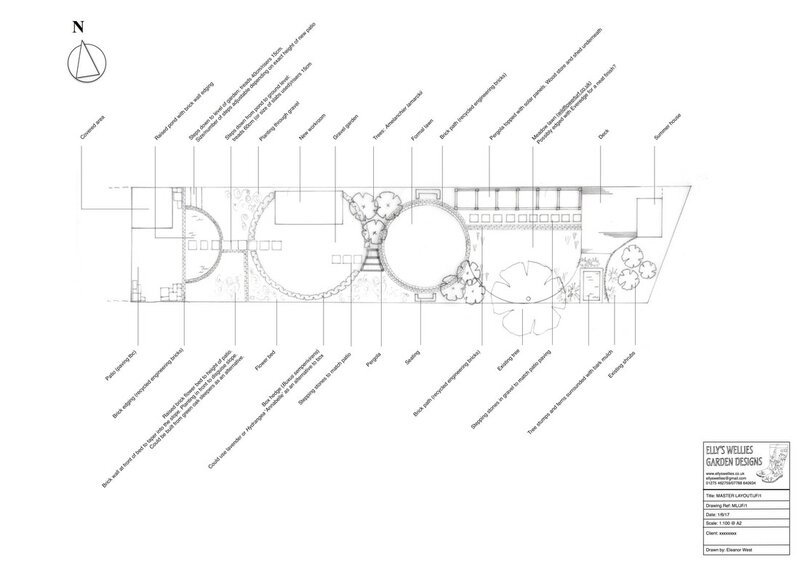 The garden originally lacked structure with no defined areas for seating, relaxing, playing, or growing ornamentals or vegetables. 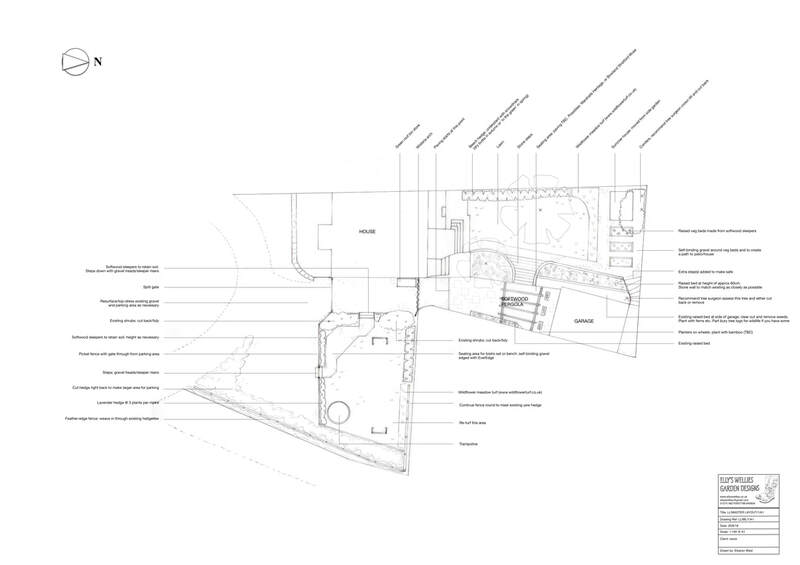 The new design created zones that linked together cohesively and utilised all the space effectively. The owners of this city plot wanted something different to replace the existing space, which was tired and neglected. 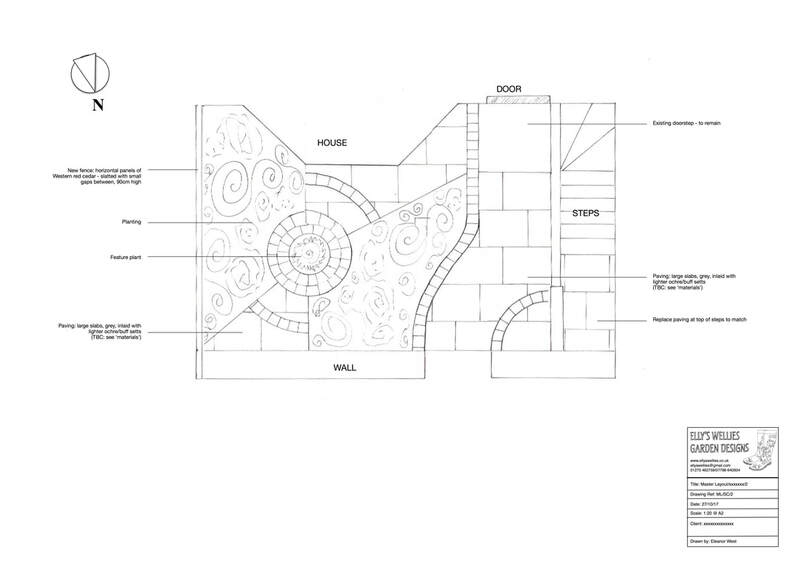 They wanted to create an impact, with lots of room for plants, and materials that would tone with the house. 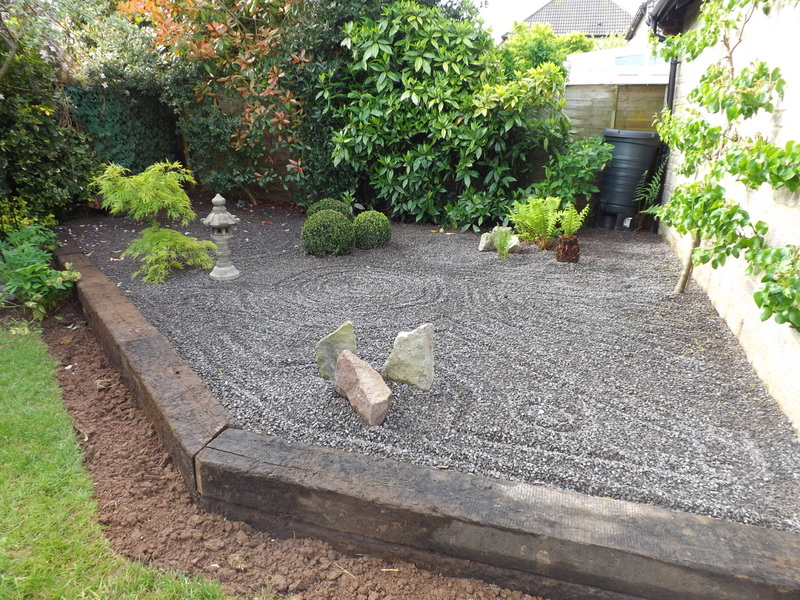 The plants were chosen carefully as the site is dry and in full shade for most of the day, but will provide colour and interest through the seasons, with some tough, shade-tolerant evergreens for structure. 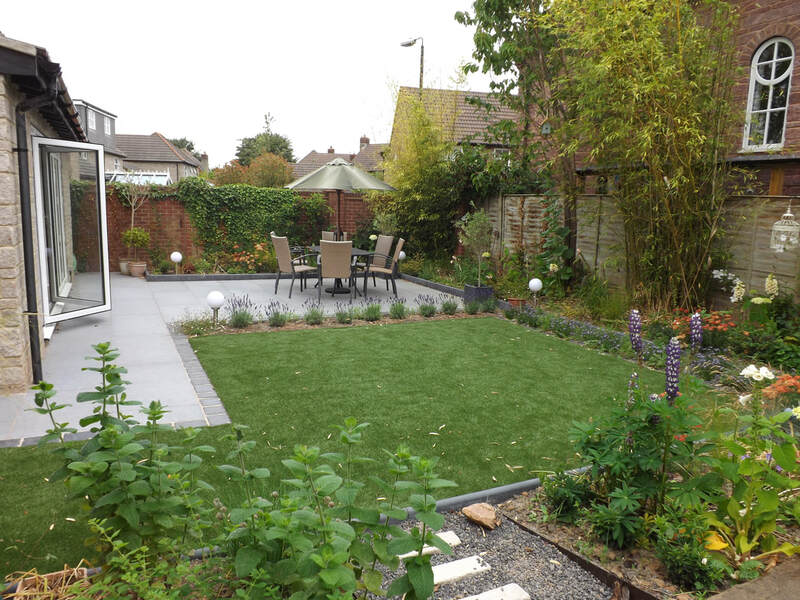 This back garden on a modern housing estate was left needing a complete redesign after building work was completed on the house. 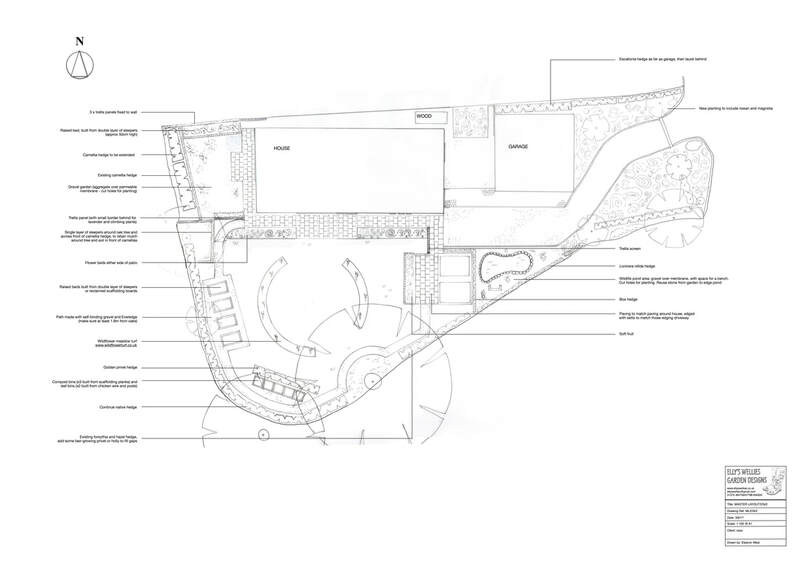 The aim was to create a space for entertaining, lots of room for plants and an area that young children could enjoy. 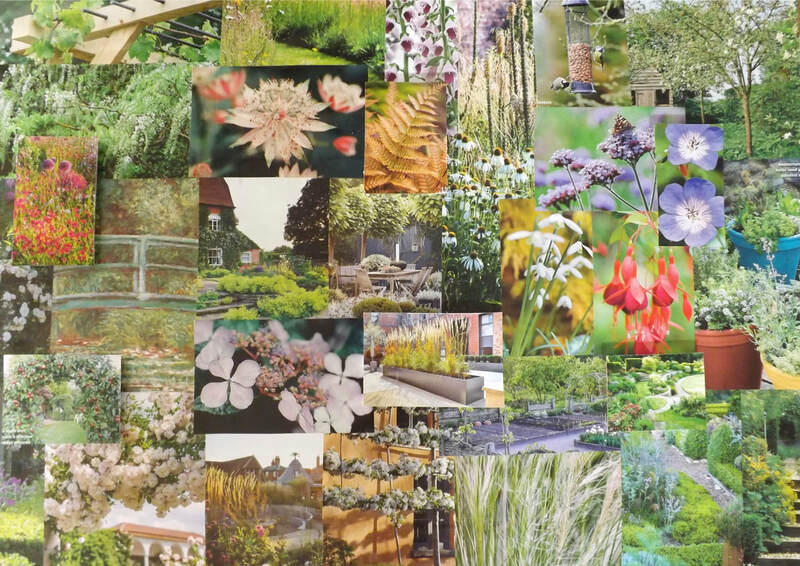 It was planted up in spring, and just a few months later the borders were full of colour and movement, with plenty of ornamental grasses and long-flowering perennials. 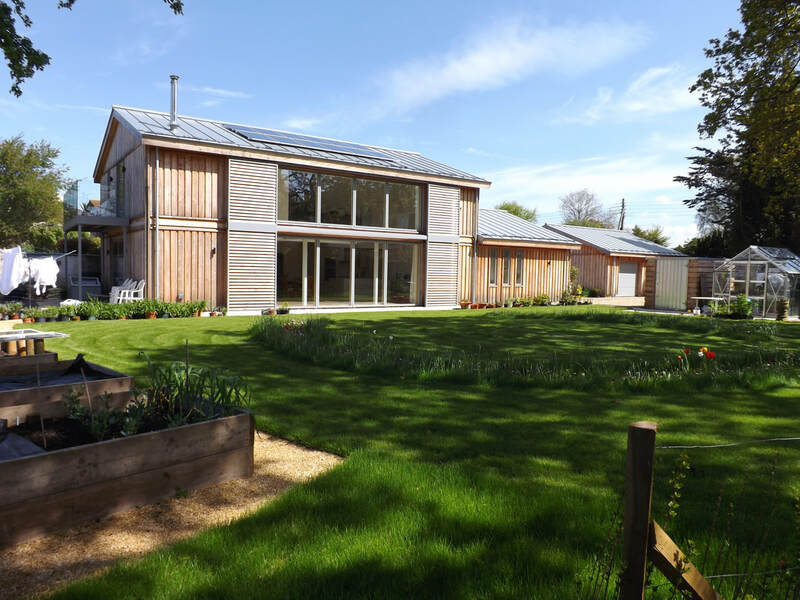 Extending to about a third of an acre, this plot surrounds a newly built contemporary, larch-clad house that has been designed to have a very low carbon footprint. 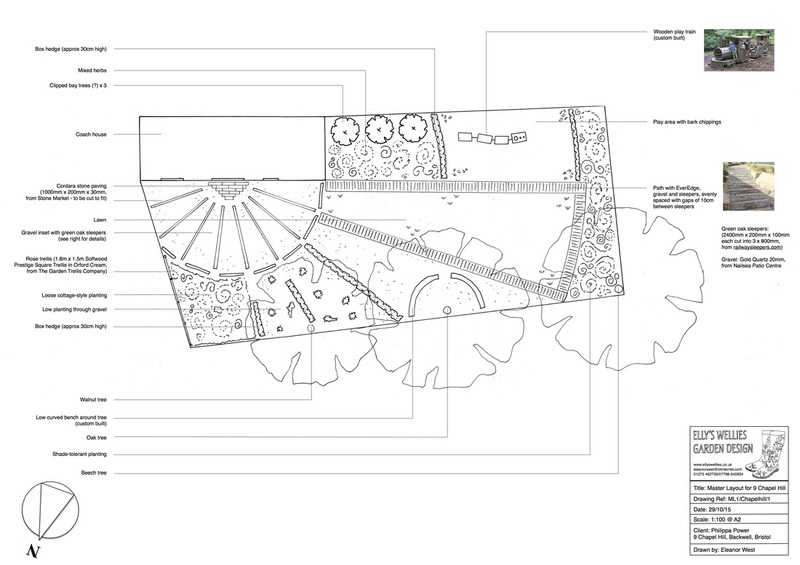 The garden needed to be in keeping with the style and ethos of the house, with native species and the reuse of existing plants, with a careful balance between the areas of planting and the hard landscaping. Raised beds for growing vegetables were to be incorporated, along with a wildlife pond. 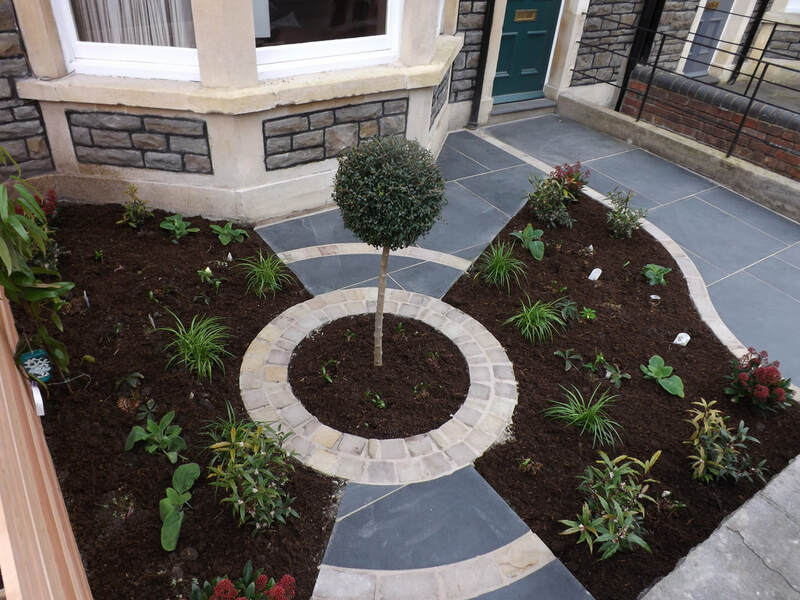 This long, narrow garden of a 1930s semi-detached property in Bristol belongs to keen gardeners who wanted to create a social space. 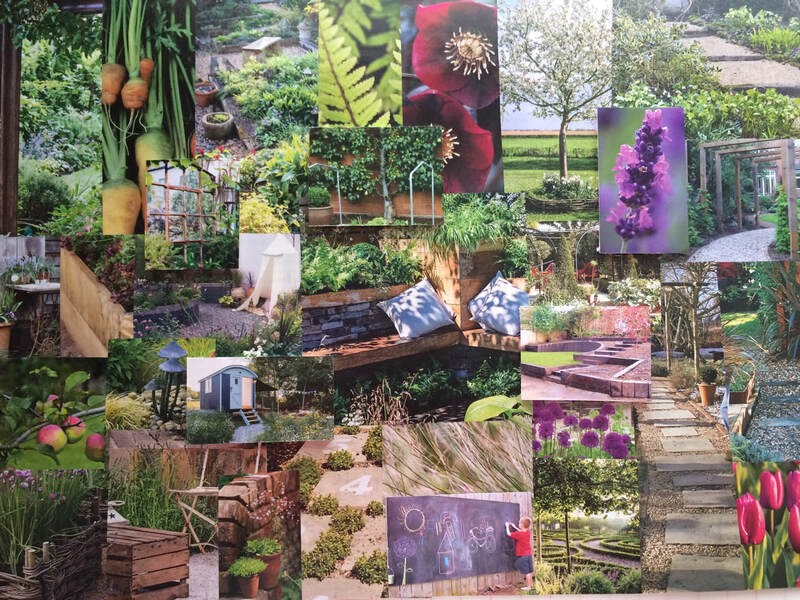 We aimed to break up the garden into separate 'rooms' with a sense of journey from one area to the next. 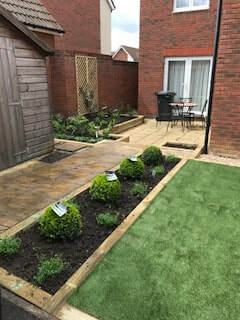 Here, the clients wanted to keep the majority of the existing hard landscaping, but make the garden a more attractive space with new planting. 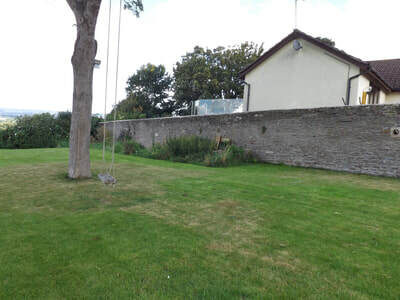 The garden is small with high walls and lots of shade. 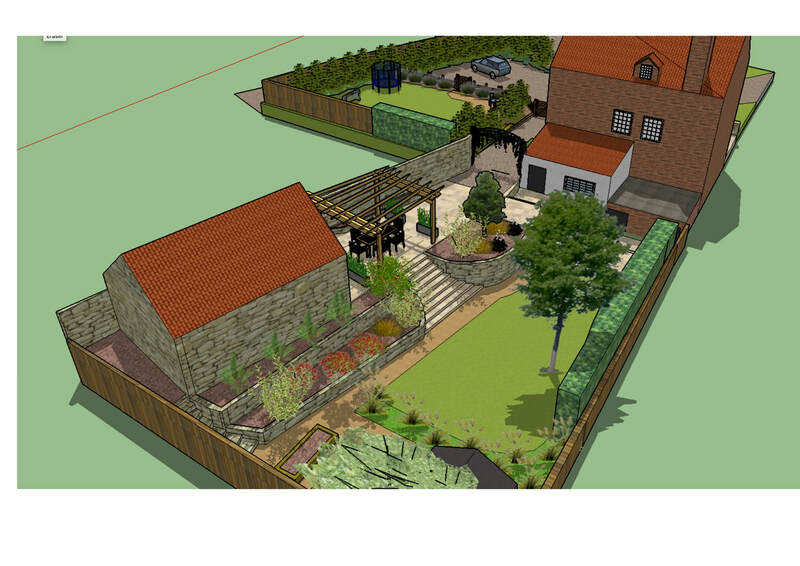 This offered opportunities to create a contemporary courtyard feel with a sense of calm, enclosure and privacy. 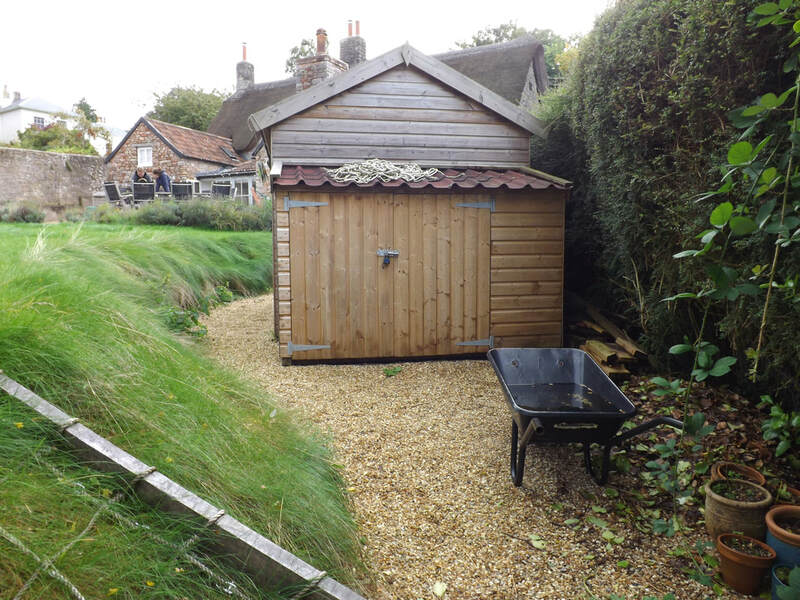 We introduced raised beds made out of sleepers to maximise the space, and chose plants that would grow well in shade, and that are easy to maintain. 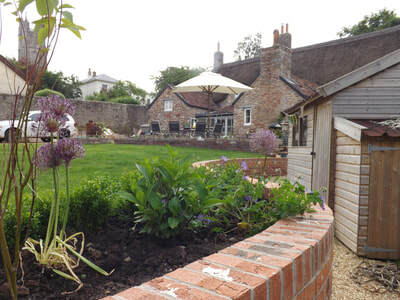 This garden, attached to a beautiful 17th-century former farmhouse, was a blank canvas that needed some structure and planting to create a cottage garden to suit a family. 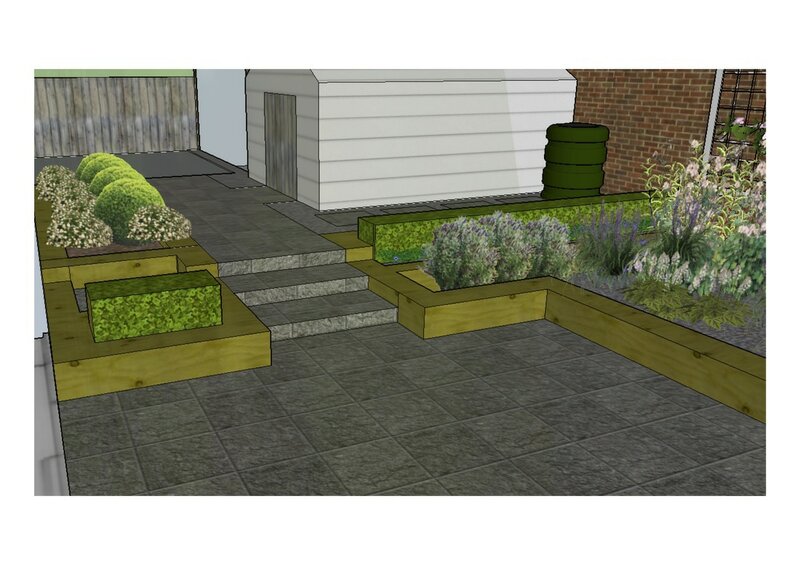 The aim was to break up the space and add some height, while keeping the area fairly low-maintenance. 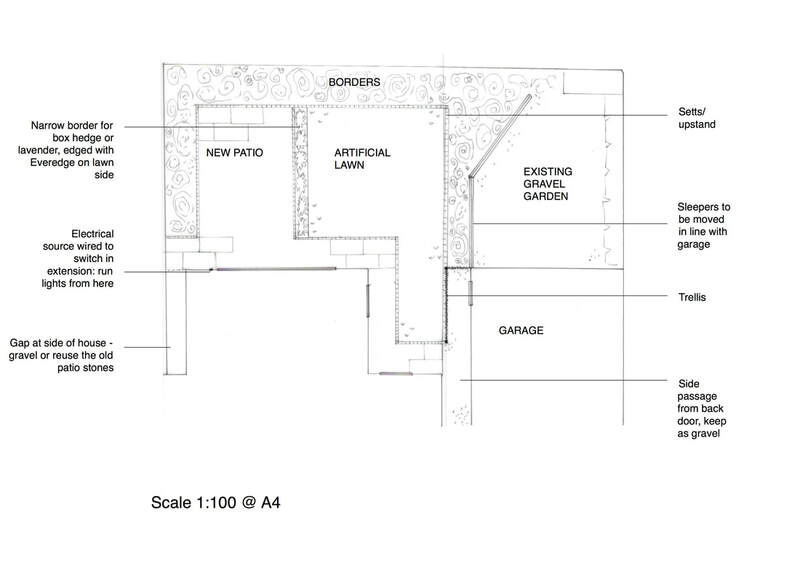 A patio and summerhouse have also been incorporated. The owners of this garden needed an overall vision that could be completed in stages, to tie in with future works on the house. 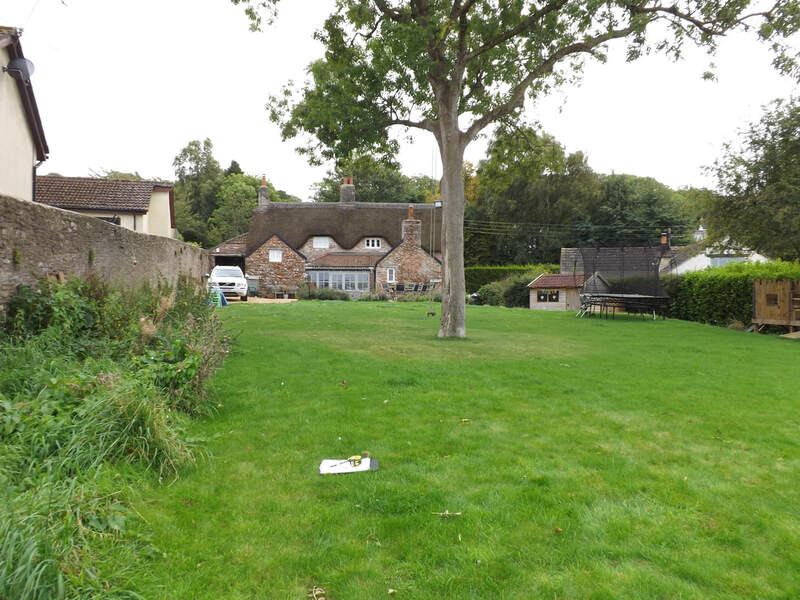 It needed to be true to the Victorian era, in keeping with the style of the house and its surroundings. 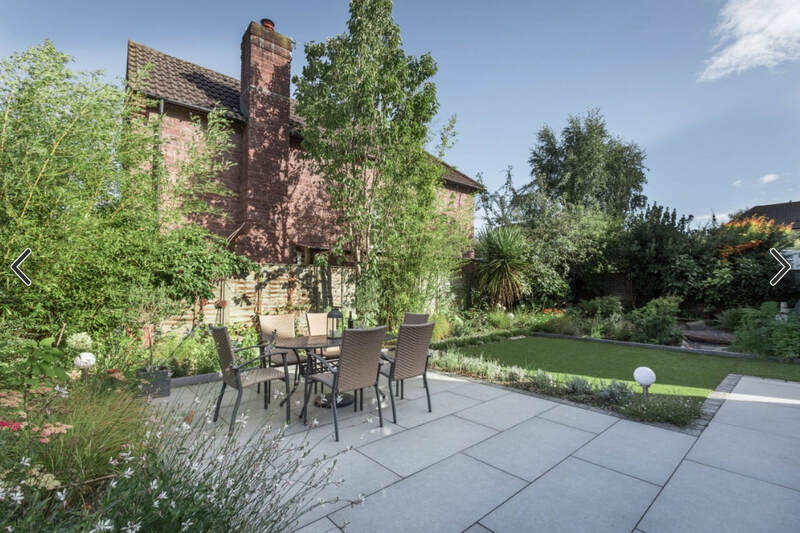 Currently dominated by a concrete driveway, the aim was to keep plenty of space for parking, but to create a garden that could be enjoyed by a young family with room for entertaining. 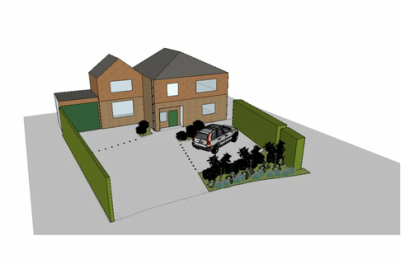 The existing front garden is to be redesigned to create more space for parking, while retaining some planting. The area needs a more modern and elegant look. 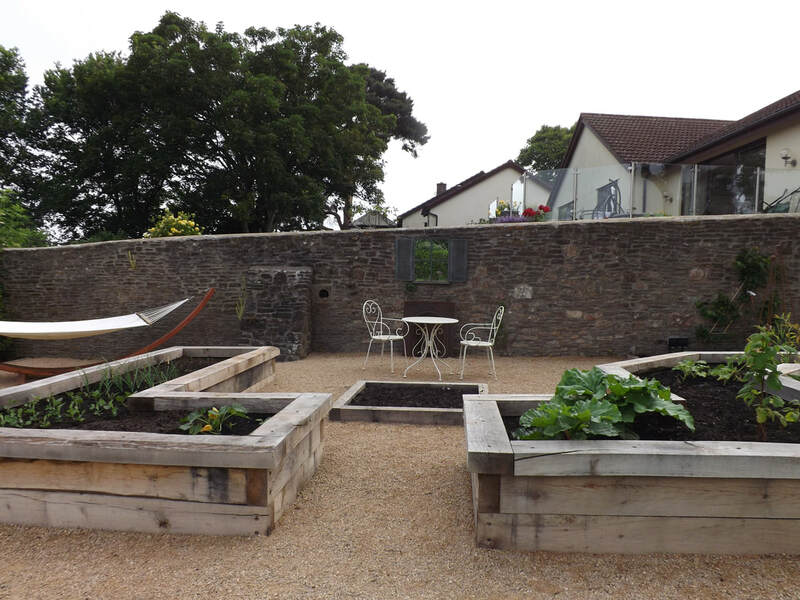 This area of garden in north Somerset was built on a tight budget and uses reclaimed railway sleepers and raked gravel to create a calming, minimalist space. 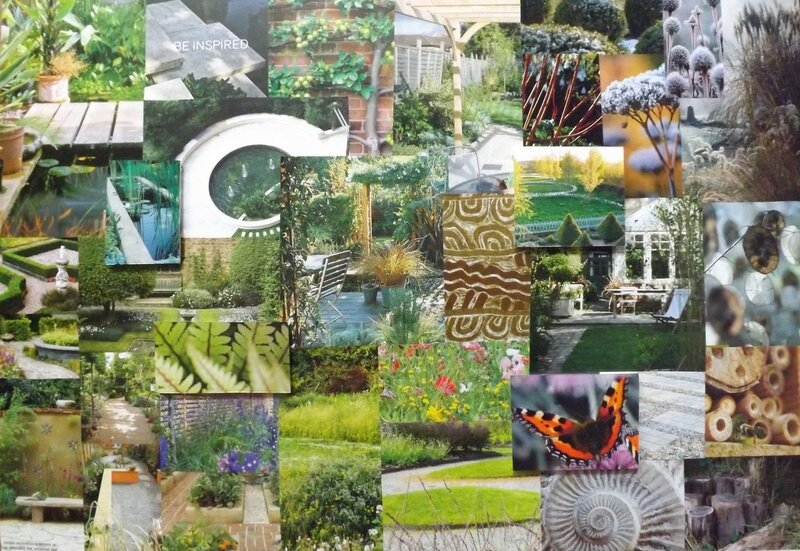 This garden was my college project at the Cotswold Gardening School. 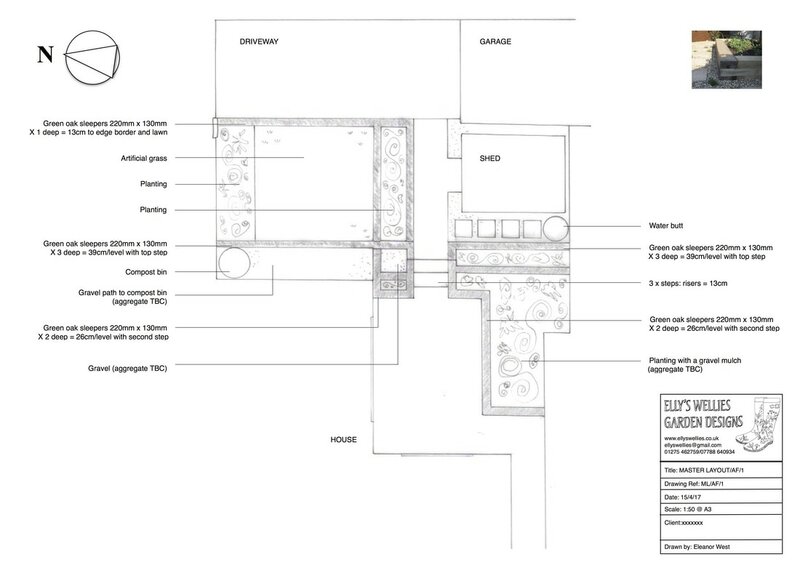 The brief was to create a low-maintenance garden that would complement a potential holiday cottage. 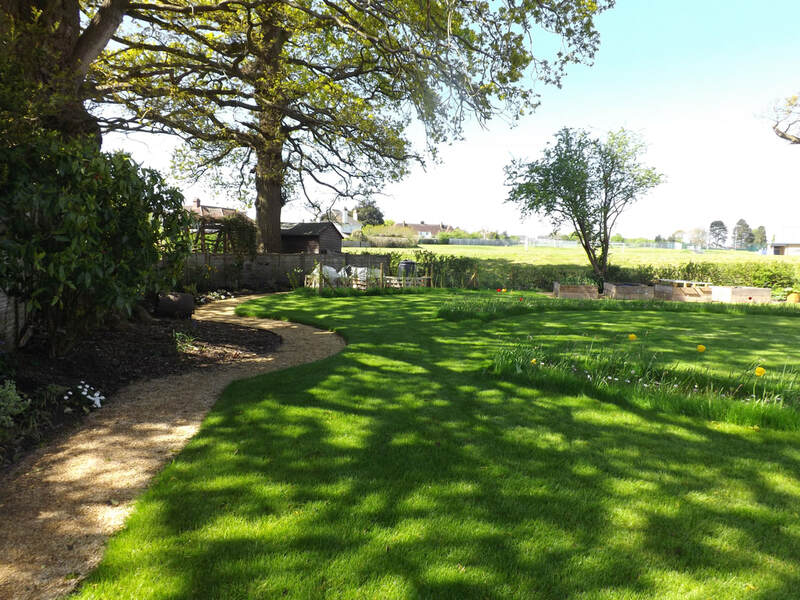 Here I worked with LazyLawn to create a garden that was suitable for two active boys. 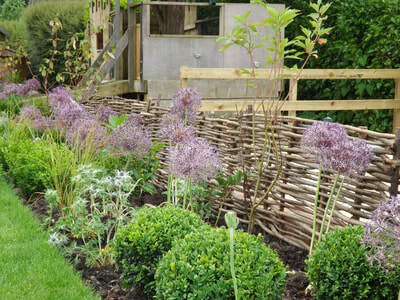 This garden was featured in BBC Gardeners' World Magazine/articles.html. 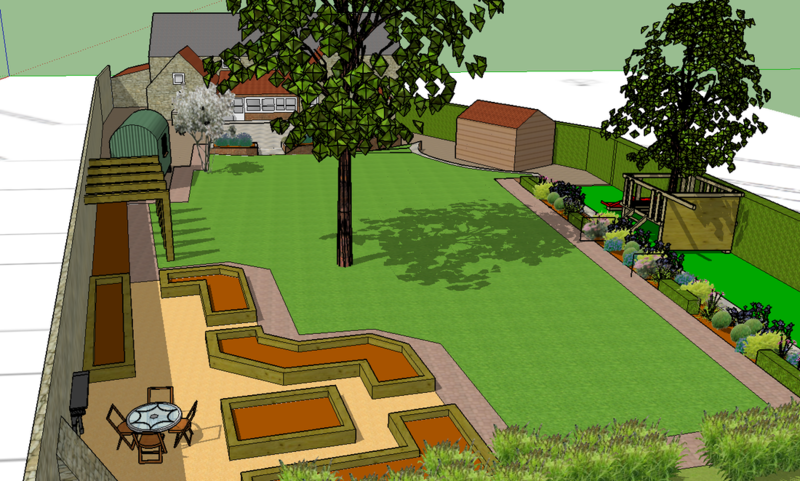 Again, a collaboration with LazyLawn to transform a bleak urban space into a garden perfect for young children. 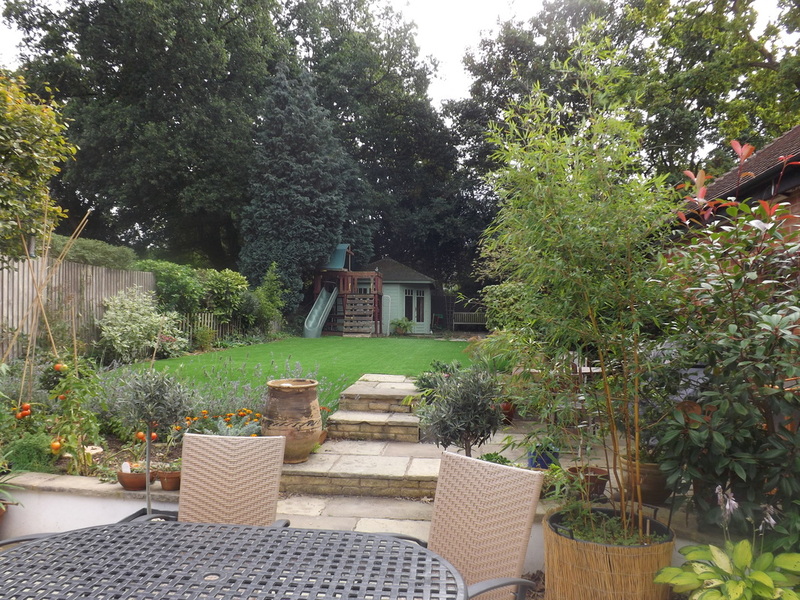 The removal of a large beech tree, unsuitable for such a small plot, really opened up the garden, while a raised deck complete with a slide maximised the space.